After a prolonged period of hibernation, this blog lives again. Why was I not contributing? Well simply because I had way too much on my plate. August ended in a blur while I was trying to finish everything in Panamá. The fall was no less crazy. I had my research of course. I also took a teaching assistant position for the first time. I’m happy to say that my first batch of students were… awesome. We had the fun of our lives exploring global issues such as climate change. As usual, I was also involved in too many committees and organizations. But now that I’m back in Panamá, I will happily drown you with ridiculously long blog posts. 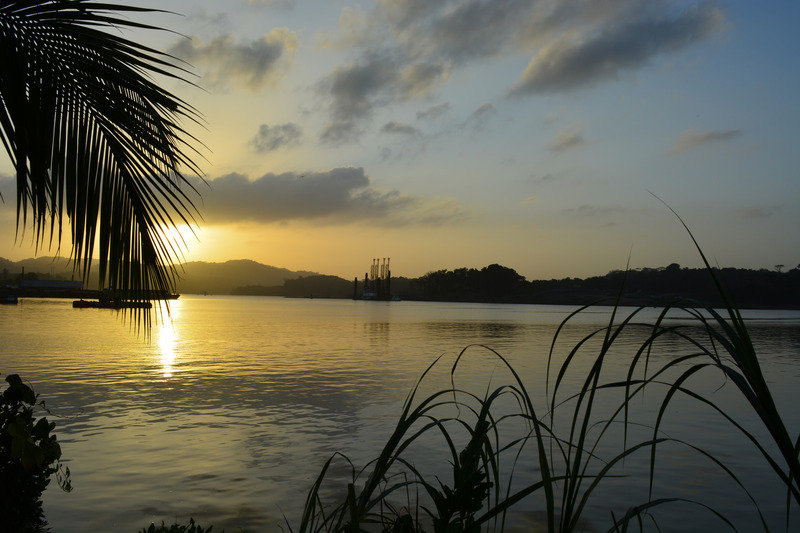 The sun rises over the Panamá Canal as we embark for Barro Colorado Island, a Smithsonian-managed natural reserve (Photo: Nicolas Chatel-Launay). For the past week, I have participated in a tropical biology field course with fellow graduate students. We study at the University of Illinois, at the Instituto de investigaciones científicas y servicios de alta tecnología (INDICASAT) and at McGill University. Throughout January, we will be travelling across Panamá to explore tropical environments. I’ll keep you posted. And of course, a bit more on my research will come out after the course. I will also update my vertebrate sighting list eventually as many new animals crossed my path. ← Le meilleur carburant du monde : LE CAFÉ !!! Happy May 17th to All! Bon 17 mai à toutes et à tous! Pourquoi si colorés… on Why So Colourful? Why So Colourful? |… on Pourquoi si colorés ?